The news is out — Eagle Filters has recruited a new Global Head of Sales. This is a good development for the company as they seek to build on the strong growth they have already experienced, and leverage the positive reference case at Astoria Energy in New York. Eagle is ready to fly. We thought it would be great to help you get to know their newest recruit, Pertti Sundberg, so our Communications Director Joshua Burguete-Kirkman undertook this short interview with him. You have years of experience in the power generation sector, what role did you have with Siemens previously and what were some of your tasks? With Siemens, I was working as a sales manager for turbine overhauls for selected fleet of Siemens turbines in Finland. I was responsible for making the spare parts offer for the turbine and offer for the overhaul work force. During the overhaul I was acting as the project manager overseeing the project. Later I moved over to new sales within Siemens and I was responsible for Customer contacts for Finnish Turbine markets and supporting Siemens sales office in Germany with active sales cases in Finland. The opportunities for efficiency from better intake air is not on every gas turbine operator’s radar at the moment. How do we change that? In my opinion, one of the best ways to increase the knowledge of operators is by educating them. We have to participate in GT user forums and conferences, making the GT operators aware that it is not okay to lose gas turbine output during operation. In addition, there needs to be more awareness of the fact that they do not need to wash the compressor to recover the GT output if you protect the compressor from fouling with Eagle Filters in the first place. Eagle Filters is a small team with a big impact. You have worked mostly with larger companies in your career, how does it feel to be joining a company on a fast growth trajectory? Even the big companies are made of small teams — the difference is mainly in the flexibility and agility of different companies. It can be very hard to change anything in a big company, but a small company may be quicker to respond to customer needs. That may be one of the reasons why small companies quite often are on the leading edge in technology development. Eagle Filters recruited you, but you have selected Eagle Filters too. What is it that you like about the company? Initially I was drawn to Eagle Filters because of the simple business idea behind the Eagle Filters — helping the GT operators improve the efficiency and performance of their units by eliminating the fouling of the compressor stage through optimal intake air filtration. So the obvious solution is that it should have been done this way from the beginning. You are now part of a company with a positive environmental impact, and in a company group that has an environmental mission. What do you think about a business seeking profit but also impact at the same time? There isn’t any business that could survive if they would not make a profit — the main question is what kind of environmental impact the company is making for the profit. With Loudspring, the mission is to have a positive environmental impact while making the profit — in my opinion it is the only possible way to make business if we are looking into the future of the Earth. There aren’t feasible possibilities to continuously over use the natural resources that we have left on earth. 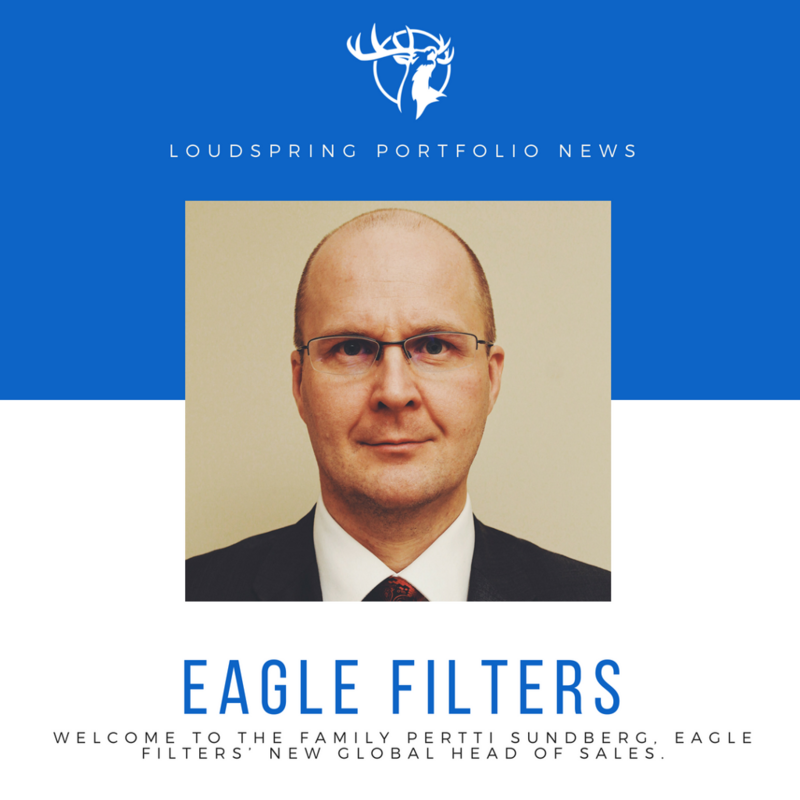 The only way we can restore the planet for future generations is by making business with positive environmental impact — something Loudspring group is aiming at and I am definitely proud to be doing my part through Eagle Filters.